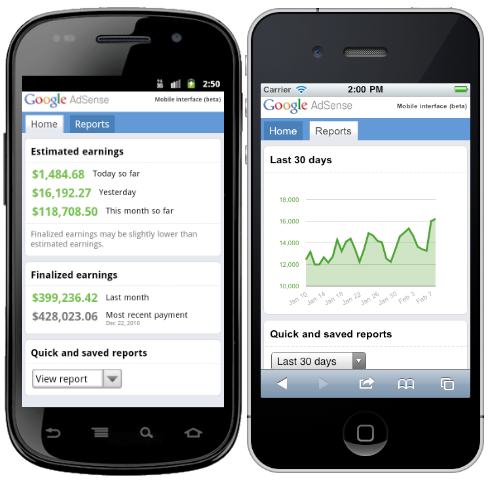 Google has announced the new AdSense Mobile interface. 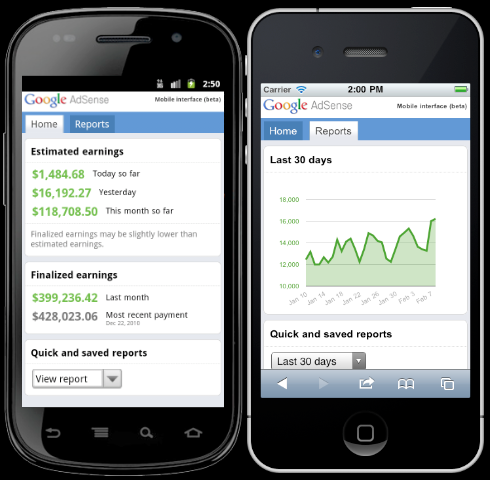 Yes, you can finally login to Google AdSense on your smart phone and see earnings and reports. Google said you can view "your earnings, get important alerts, and view reports (without the need for Flash) on your phone." If you do not see it, then it might be because you are not on the new interface and still using the old one. You would need to switch to the new interface. It is a limited release and more features are coming. Like, you cannot create new ads, block sites, and so on. To give Google feedback, join the conversation at the Google AdSense Help. Previous story: What's Your Name? Farmer Or Panda?